Imagine returning home to water damage because your refrigerator leaked when you were away on vacation. The costs of home restoration can put a serious dent in your pockets, as water removal and mold remediation can costs thousands of dollars. The average cost of water damage restoration varies depending on a variety of factors, but it is estimated to cost $5,000 (this amount could be higher or lower depending on the actual damage). If you’re away from home, the last thing you want to worry about is returning to water damage and a hefty bill caused by a storm. A power outage in a home without a generator can cause numerous problems, ranging from flooding and food spoilage to mold and frozen pipes. Homeowners who own generators can have relief knowing that their generators will automatically start right after a power outage. Severe storms can happen anywhere. One way to waterproof your home and decrease your risk of water damage is to purchase a generator to provide the backup you need during a storm. Purchase the correct generator, and enjoy your time away from home without worrying. 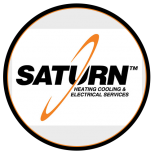 For more information on safeguarding your home with a backup plan, contact Saturn Heating Cooling & Electrical today to discuss the best Generac generator for you and your family’s needs.